COMMENT: For decades, we have pointed out the documented fact that much of the so-called progressive sector drools and slobbers over a great many obvious, heinous wolves-in-sheep’s clothing . In addition to covering up the assassinations of both Martin Luther King and Robert Kennedy–whose murders occurred during his tenure as A.G.–Clark frustrated New Orleans District Attorney Jim Garrison’s investigation of the JFK assassination. Although his efforts were dismissed and attacked at the time, both the results of the House Select Committee on Assassinations (which recommended that the Department of Justice investigate David Ferrie and the anti-Castro Cubans in New Orleans) and other disclosures (such as former CIA director Richard Helms’ admission that Garrison defendant Clay Shaw worked for the Agency) have supported the validity of Garrison’s efforts. In addition to being a serial killer with some portentous blood  on his hands, Clark helped spawn some of the worst abuses of the contemporary intelligence apparatus. In a useful volume titled The CIA as Organized Crime , author Douglas Valentine supplements analysis of Clark’s tenure as the country’s highest law enforcement official. Best known for his seminal work on the Phoenix program in Vietnam, Valentine details the evolution of the evolution of the counter-terrorism apparatus in the U.S. political and national security establishments. 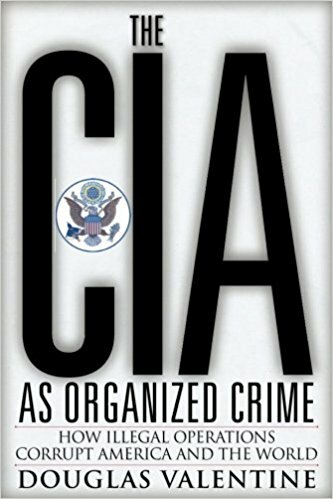 Building on his work on the Phoenix program, Valentine sets forth the parallel evolution of the Phoenix program and domestic and illegal espionage against dissenting American citizens. Ramsey Clark mid-wived the evolution of our present-day counter-terrorism institutions. . . . . The events that led to the formation of the current Counterrorism Center began in 1967, when US security services began to suspect that the Cubans and the Soviets were infiltrating the anti-war movement. Lyndon Johnson wanted to know the details, so his attorney general, Ramsey Clark, formed the Interdepartmental Intelligence Unit (IDIU) within the Department of Justice. The IDIU’s job was to coordinate the elements of the CIA, FBI and military that were investigating dissenters. The White House wanted to control and provide political direction to these investigations. The Phoenix program was created simultaneously in 1967 and did the same thing in Vietnam; it brought together 25 agencies and aimed them at civilians in the insurgency. It’s political warfare. It’s secret. It’s against the rules of war. It violated the Geneva Conventions. . . .